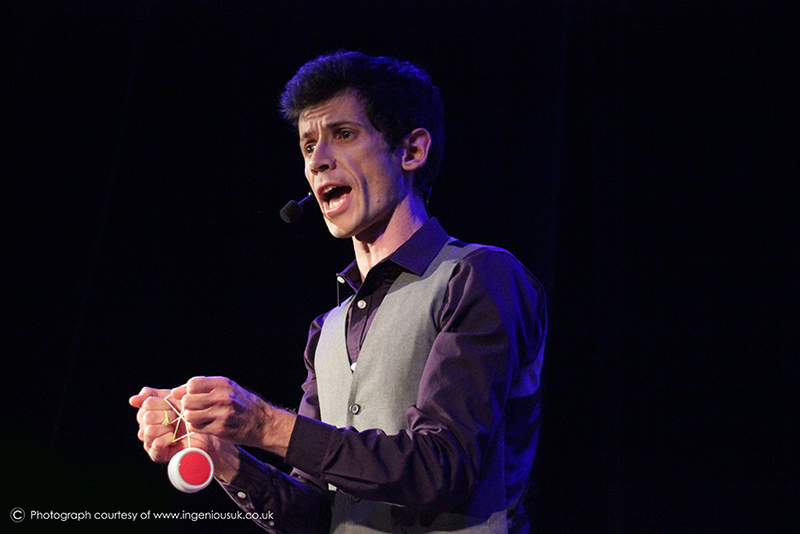 Many years ago Sam worked as a Yo-yo salesman in Hamleys Toy Store in London and has been performing Yo-yo ever since. It’s a great prop with universal appeal because almost everyone owns one at some point (admittedly, most people are younger than Sam when they do). 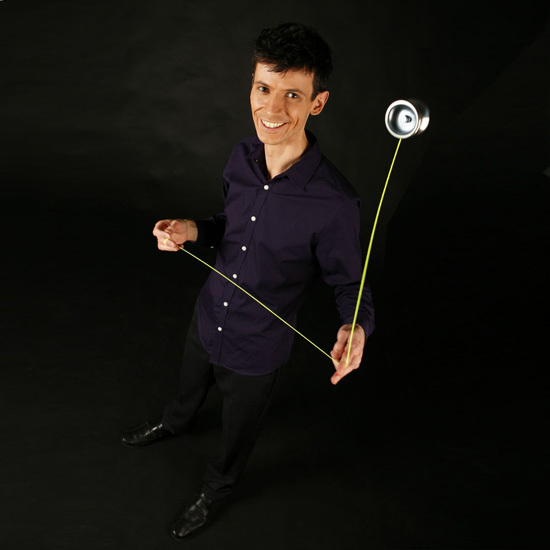 Sam has done a lot of work teaching and performing Yo-yo at trade shows, Bar-mitzvahs, in schools, on stage and everywhere else. Yo-yo cabaret spot from a show at Water Rats in Kings Cross, London.